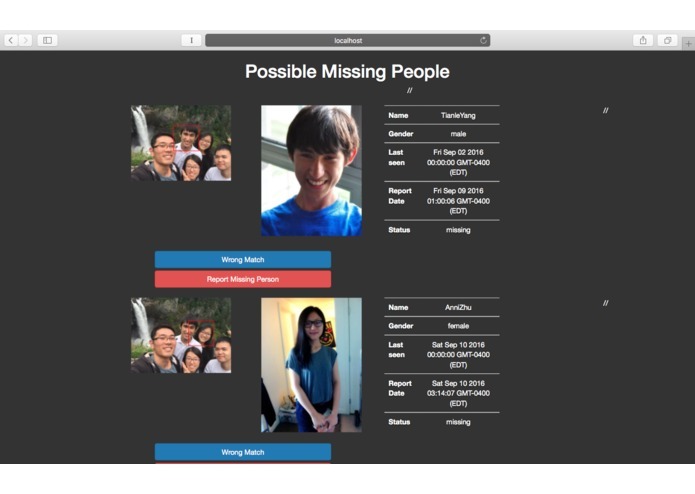 Each year in China alone, 20,000 to 200,000 children went missing, kidnapped or trafficked. They are usually forced to labor, auctioned illegally for adoption, or even entrapped in gangs. People witness them on the street, but the reporting and identification process is frustratingly time-consuming. Convenient and timely identification check is essential to further actions. We aspire to seek solutions in the light of face recognition technology. Node.js - a new web tool for the entire team. We are proud to have come up with this powerful idea and made a preliminary product within such short time with new tools. All components of a web application on node; in particular we learned to write async programs. App development in team. More repositories: Facebook, iCloud, or video searching/ cameras? Not as an app but as an extension? In fact, we see the app to be 'hidden' behind the scene and only message the user or relevant authorities when a match happens. It might a recursive program on the photo storage platforms. 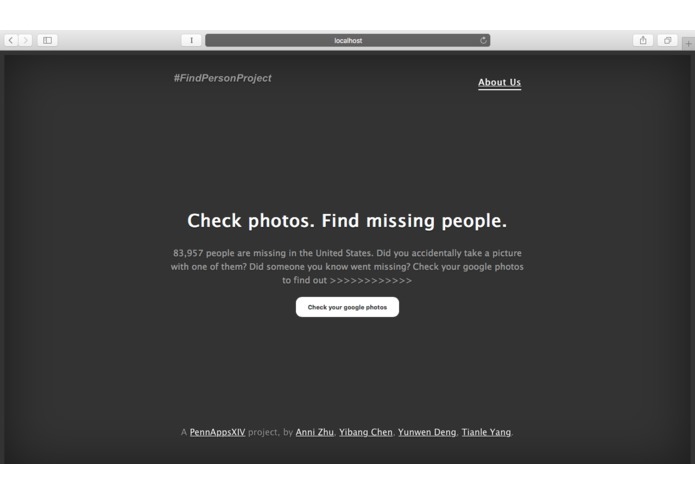 Better people database. 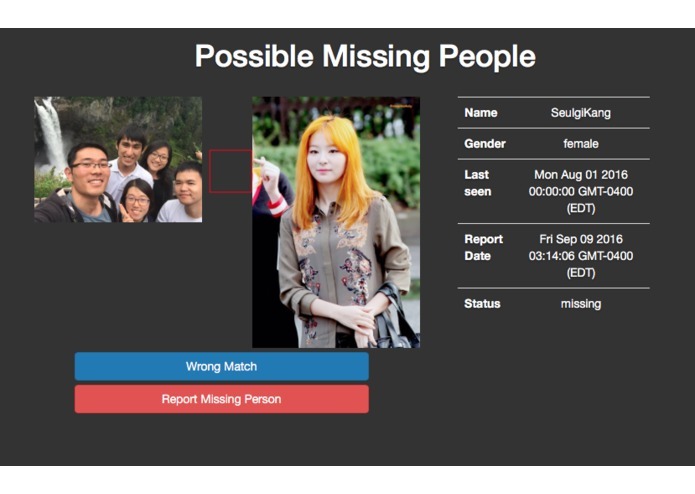 The application is not limited to missing people, but also criminals at large.